Queen of the South came from behind three times at Tynecastle only to lose out to Heart of Midlothian on penalty kicks after a 3-3 draw in the League Cup Third Round. Dale Carrick eventually netted the winning penalty as the SPFL-side ran out 4-2 winners in the shoot-out after an entertaining 120 minutes of football. Hearts opened the scoring in the 14th minute through Kevin McHattie before Ryan McGuffie bundled in a close-range equaliser on 20 minutes. Jamie Hamill regained Hearts` lead with a penalty on 51 minutes and Michael Paton levelled things again with 62 minutes on the clock. Into extra-time and Hearts once again took the lead this time through Danny Wilson three minutes in before Queens captain Chris Higgins fired the ball into the top corner with just four minutes remaining. The joy would be short-lived for Queens however as Chris Mitchell hit the bar and Michael Paton saw his kick saved to see Hearts through on penalties. 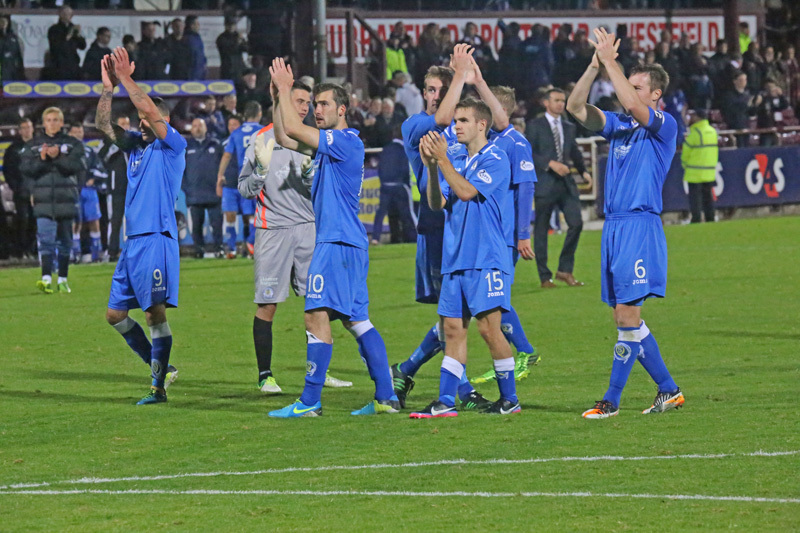 Queens manager Jim McIntyre said: “First and foremost the pride I have in the players. We went behind three times and just kept at it. I thought we passed the ball extremely well and created good goalscoring opportunities. We just needed to be a bit more ruthless. “I don`t think it was a penalty kick which gave Hearts a lift and the third one as well I think the ball is out of play and my defender`s saying that it wasn`t a corner either so they`re really disappointing things but if we talk about those decisions it takes away a lot from the game. “I thought we were excellent but you`ve got to credit Hearts. Hearts were ruthless when they got their opportunities so fair play to them.